Palm Springs is among the most affluent communities in Florida. The homes, both old and new, are reminders that the “gilded age”, the age remembered for the accumulation of great wealth by a small number of individuals, has never entirely vanished. Where do the wealthy residents–and tourists–shop? Worth Avenue. Shoppers will find retail stores comparable to those on Rodeo Drive in Beverly Hills. Do you want something special from Tiffany, Gucci, Giorgio Armani or Hermes? Worth Avenue is the place to be. It is elegant. It is expensive. The architecture itself is a great reason for a visit. Oh, and it oozes old money, and new money, inherited money, earned money, all kinds of money. Terry and I enjoyed our visit. We walked the avenue and stopped for lunch at Charlie’s Crab. We’ll leave the heavy shopping to others. 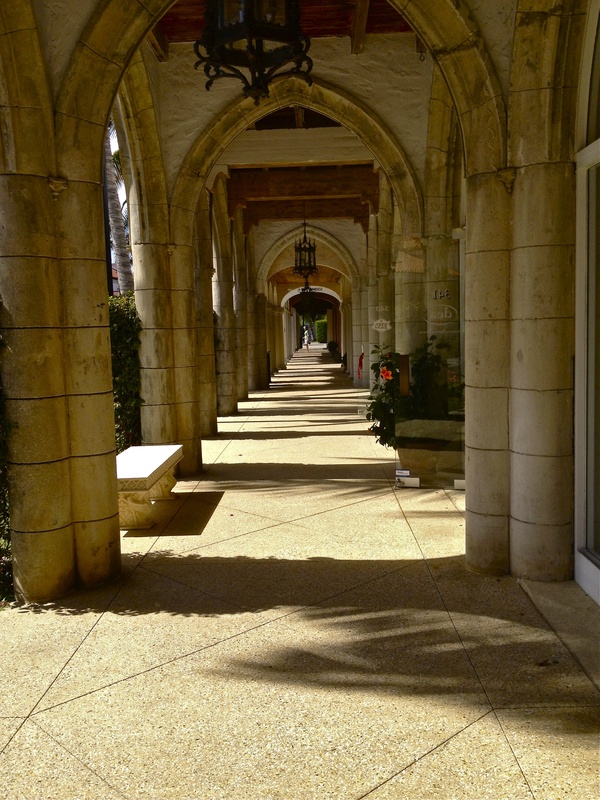 This entry was posted in Photography, Travel & Adventure and tagged architecture, Florida, Gilded Age, Old Money, Palm Beach, Rodeo Drive, Shopping, Worth Avenue. Bookmark the permalink. It’s fun to soak up the atmosphere sometimes of people who live so differently from us. At least, I think they do.